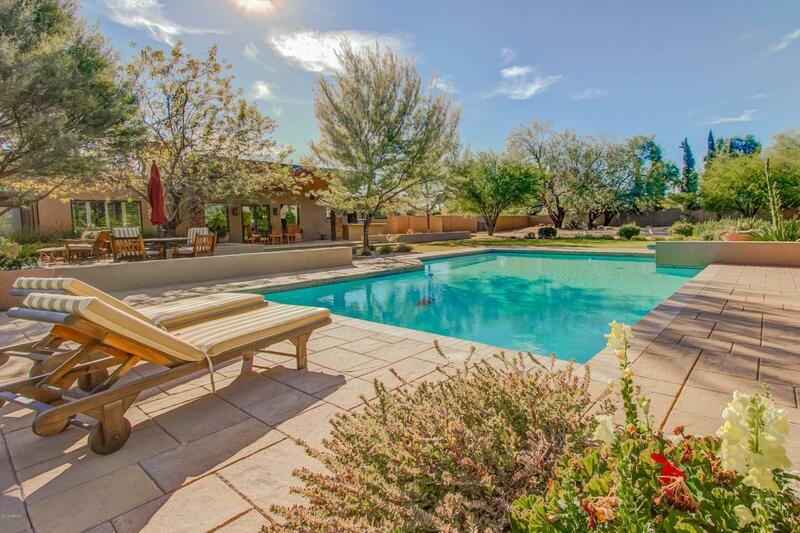 Beautifully sophisticated and charming home in Paradise Valley on just under 1 acre. 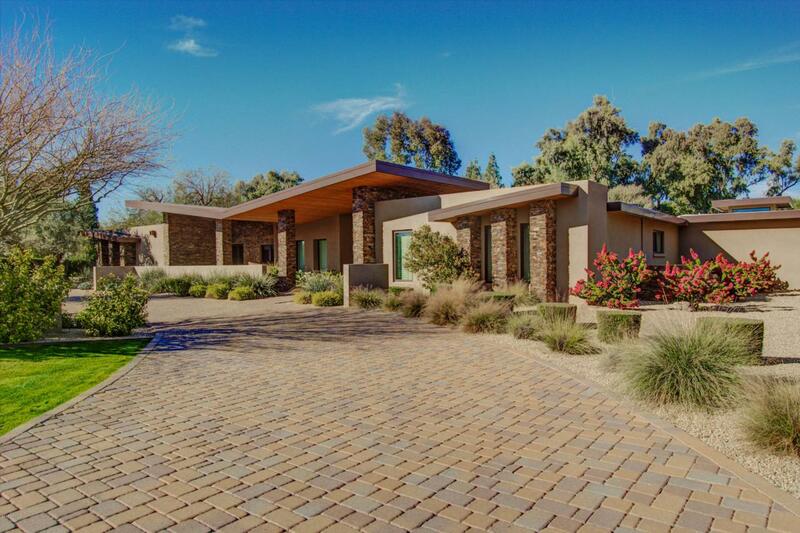 Contemporary curb appeal and recent landscape renovation is captivating. Spacious master suite w/ sitting room, fireplace. Master bath with jetted tub, steam shower, dual walk-in closets. Kitchen opens to patio for great entertaining. Top of line stainless steel appliances include SubZero side by side fridge/freezer, dual ovens, walk-in pantry, wet bar. Wood flooring. 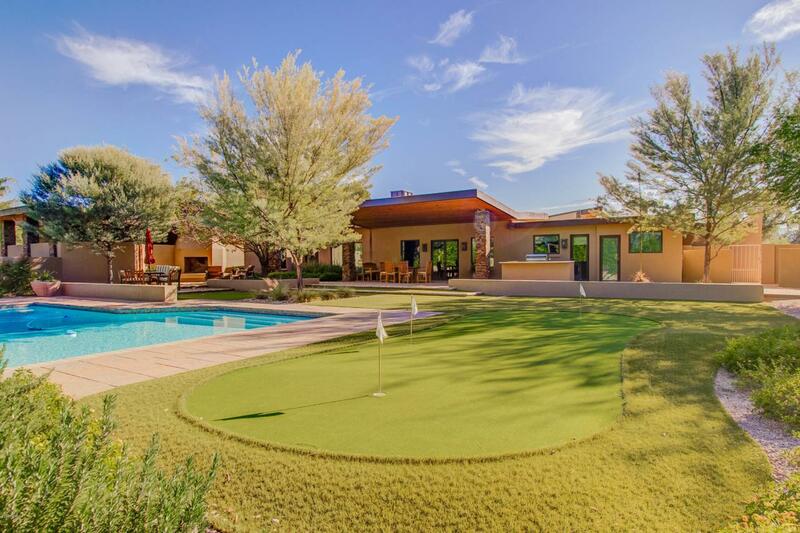 Backyard includes a pool, outdoor fireplace, entertaining area, putting green and grassy play area. Cherokee/Cocopah/Chaparral schools. Mountain views. 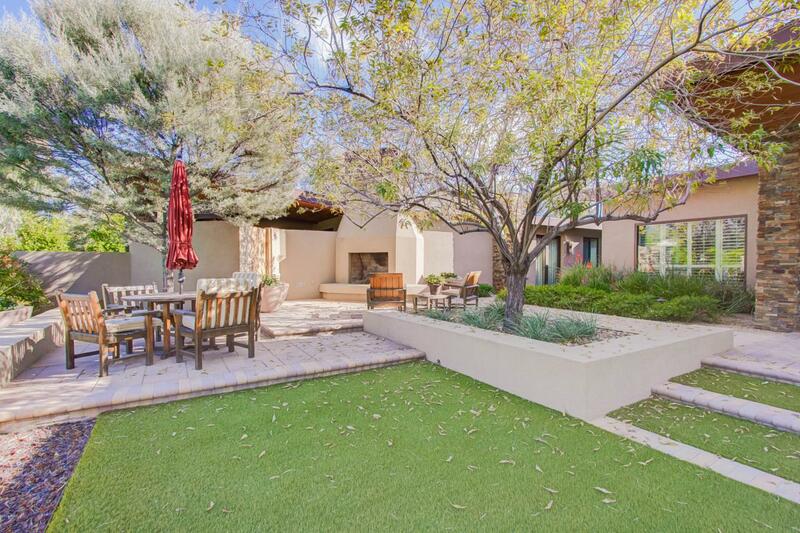 This wonderful property has been carefully priced for the most discerning buyer.